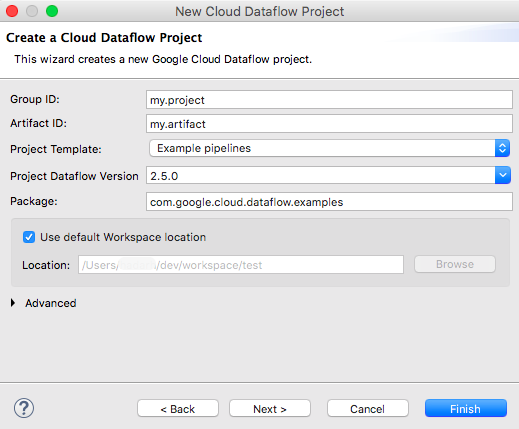 The Cloud Dataflow Eclipse plugin works only with the Cloud Dataflow SDK distribution versions 2.0.0 to 2.5.0. 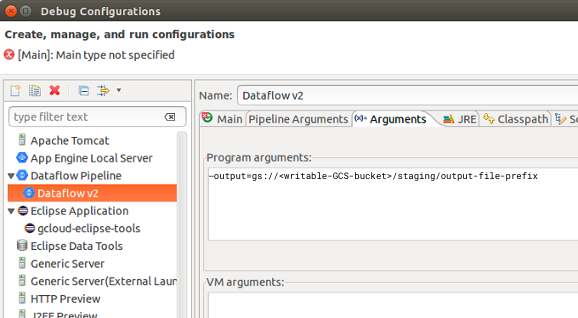 The Cloud Dataflow Eclipse plugin does not work with the Apache Beam SDK distribution. 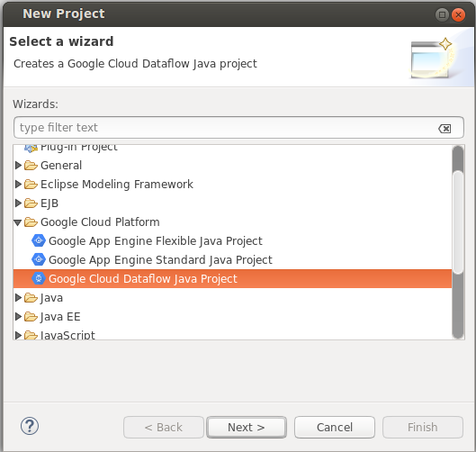 Ensure you have installed the latest version of the Cloud Tools for Eclipse plugin. If you have not done so already, follow the Cloud Tools for Eclipse Quickstart to install the plugin. 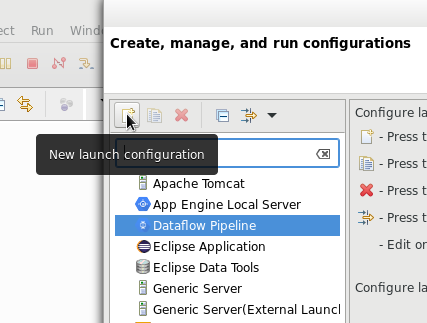 You should now see the Set Default Cloud Tools for Eclipse Run Options dialog. 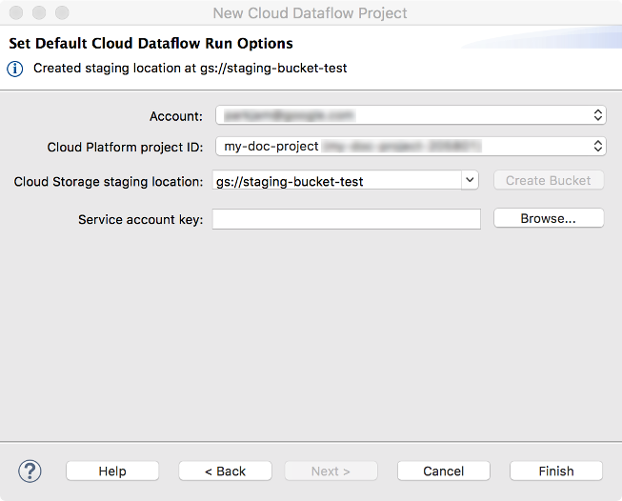 After creating your Cloud Tools for Eclipse project, you can create pipelines that run on the Cloud Dataflow service. As an example, you can run the WordCount sample pipeline.